Not immediately related to poetry, but I thought I’d share this just the same. 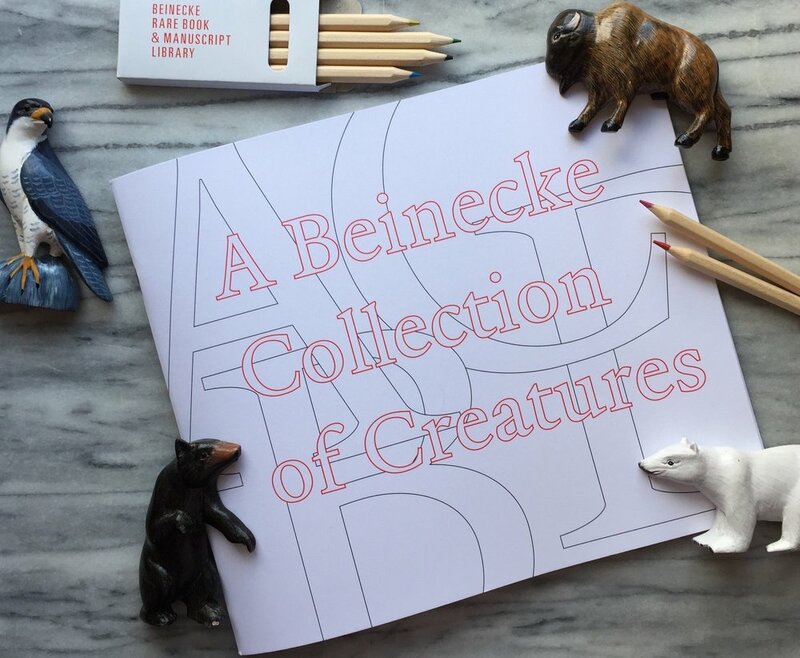 My colleague Meredith Miller and I created this delightful coloring book—A Beinecke Collection of Creatures—in honor of the reopening of the library after its closure for an 18-month renovation. It’s an alphabet coloring book, and each letter is dedicated to an animal found somewhere within our vast collections. The images selected cross geography, language, and time. From “A is for Antelope,” from a 1599 German volume entitled India Orientalis; to “Z is for Zebu,” from Master Woodbine’s Alphabet for All Good Children, London, 1850. And of course, being the product of a library, there’s a citation key in the back matching each animal to its printed or manuscript origin. It was such a pleasure to conduct this safari through our collections, searching out animals of every letter; some were more of a challenge than others, of course. Yes, we found an X! and a Q! It just so happens that there’s a bird called a xenops, and a fish called a queen triggerfish; I was able to find both amongst our 18th and 19th-century illustrated natural history volumes. Phew! Hard copies are no longer available, but perhaps soon we’ll find the entire book digitized on the Beinecke’s Digital Library website. And then, if you were so inclined, you might download the images, print them out, and color them yourself. I’ll keep you posted!